We help concerts and event organizers optimize their pricing to increase revenues and profits via demand prediction. The Live Entertainment business is increasingly fighting with digital competition, but also needs to focus on improving profitability. We help our customers to drive admissions and revenue with analytics and pricing software solutions. 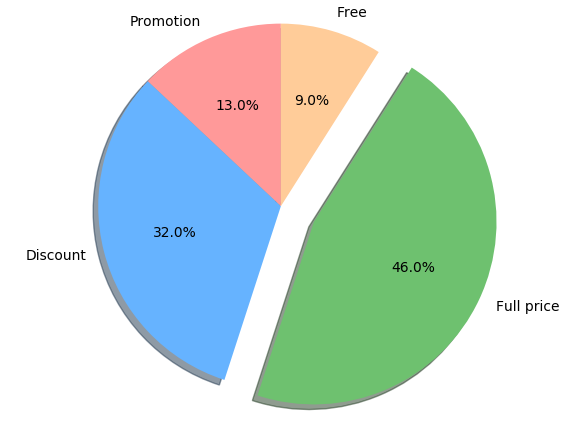 Dozens of factors influence the demand for live events, such as date and time, weather, etc. Predicting the expected demand is key. Event organizers want to attract as many visitors as possible. Cheaper tickets attract more customers, but hinder revenue optimization goals. A change of the current pricing model needs careful customer communication to avoid visitor alienation and bad press. Utilize the willingness to pay for event visitors to increase overall revenue. Create product bundels that customers can choose from. A good price mix offers the right ticket categories for all visitors and increase satisfation when everyone finds their preferred offer. Increase online sales through special discounts to collect more customer behavior information and get better planing security while saving money. Why is dynamic pricing suitable for entertainment providers? The combination of fixed capacity and variable demand creates the perfect conditions for dynamic pricing. As price sensitivity for each event fluctuates depending on performer, date of the event, weather and several other factors, dynamic pricing can be used to increase attendance at low demand events/shows as well as slightly lift ticket prices for events/shows with high demand. What specific goals can be reached with dynamic pricing? What are the benefits of dynamic pricing for spectators ? 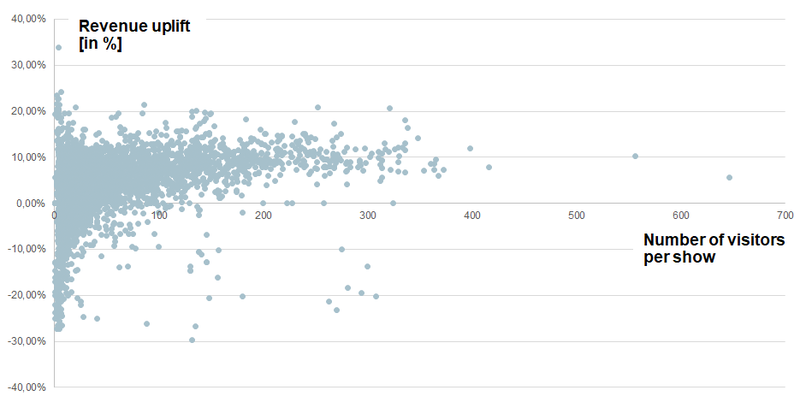 By booking early and/or attending low demand events/shows, spectators are rewarded with more attractive prices. How to communicate dynamic pricing in the entertainment industry? -We propose to communicate how fans can get the best prices e.g. “Buy early buy smart”. What are the expenses for event providers implementing dynamic pricing? The costs vary based on the amount of dynamically priced tickets. However, revenue uplifts achieved with dynamic pricing are typically 5x – 10x higher than the cost of implementation. Will our prices increase as a result of dynamic pricing? We recommend a dynamization around the current price level: for events with high demand an increase in prices to skim willingness to pay and for events with low demand a decrease in prices prices to stimulate demand. Discover how we introduce dynamic pricing with our clients. 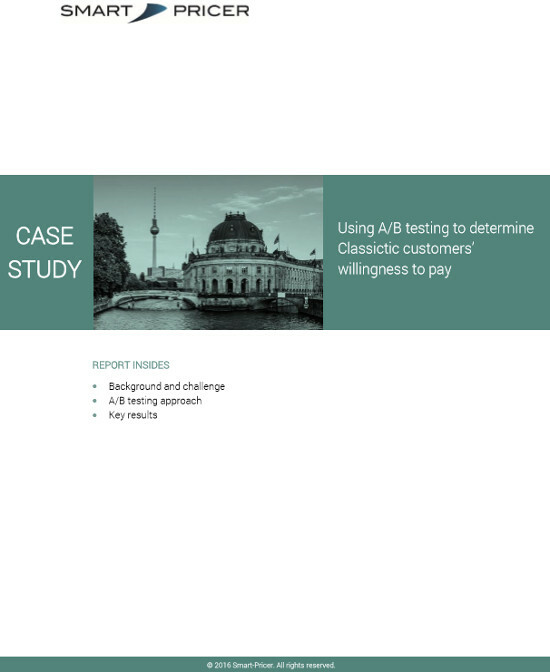 In this case study we explain the approach used by us to determine Classictic customer’s willingness to pay by using A/B testing. The case study shows the used approach in details and presents the final recommendations for Classictic based on the A/B testing results. As the leading trade fair for the global travel industry, ITB Berlin is the leading business platform for global tourism. 360 ° ENTERTAINMENT is aimed at the who’s who of the entertainment industry. The congress brings together sponsors, organizers, media, venue operators and service providers of all kinds. The Great Escape is the festival for new music, showcasing 500 emerging artists from all over the world in 30+ walkable venues across the city plus a festival site on Brighton Beach. Let's talk about how we can achieve your goals. Leave us a message to schedule a first free consultation about your needs and goals. We are happy to hear from you. Just give us a call, send us an email, or stop by at our office in the heart of Berlin. Smart Pricer’s team of pricing experts offers businesses around the globe the necessary tools to increase ticketing revenues and attract more visitors. The latest Smart Pricer news and updates sent straight to your inbox. Thank you for subscribing. Please check your emails to confirm your subscription.